On my way to Australia I stayed in Singapore for a few days. Singapore is known as an urban jungle, it is very green with lots of lush vegetation – not just parks and open spaces but also on top and sides of the buildings. I visited Singapore Botanical Gardens, a large park like expanse of trees and tropical plants. The first reptile I saw in Singapore was……. 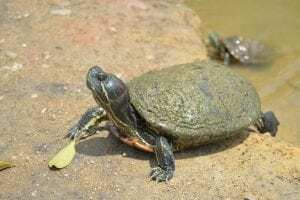 Wait for it………….. the Red Eared terrapin (Trachemys scripta elegans) – a once common pet species in the UK that originates from the Southern states of North America. Presumably they were, and maybe still are, a popular pet in Singapore and like the UK many have been released into the lakes in parks. 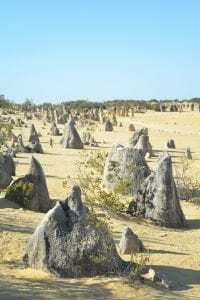 The big difference is the climate allows this species to breed in large numbers – there were thousands of them. 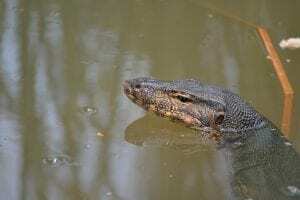 A more exciting find was the Malayan Water Monitor (Varanus salvator), quite common too. 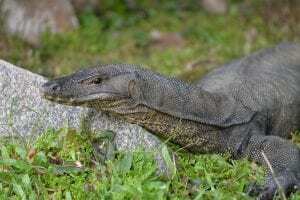 A large species of lizard, related to the Komodo Dragon, growing up to around 2-3m in length. I found them in water and on land and they were relatively used to human presence. 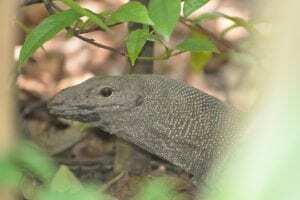 For once I was pleased to misidentify one individual as I had photogra phed one monitor that was not a Malayan Water monitor but a Clouded monitor (Varanus nebulosus). They look very similar, the main difference being the position of the nostril but are mu ch rarer to find. My trip to Australia started in Perth, a city, like Singapore, also not known for reptile fieldwork. 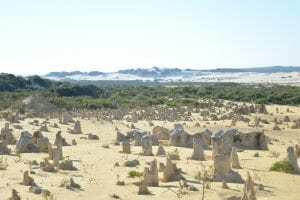 However just outside Perth, a two and a half hour journey, is Nambung National Park, and in particular the coastal desert known as the Pinnacles. 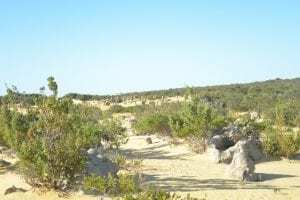 This desert is a yellow sand dune desert, with mixed scrub, white sand dunes and upstanding rocks that resemble huge gnarly crumbling teeth sticking out of the sand. 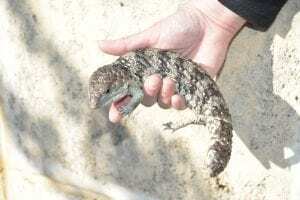 Here I was lucky to find one of my target species, the Shingleback Skink (Tiliqua rugosa). The main coastal road through the park gave up the secret that Shinglebacks existed in the area unfortunately due to the amount of road kills I saw – squashed by passing cars. I have seen this in many warm climates, especially in the spring, or during the warmer weather on the evenings. 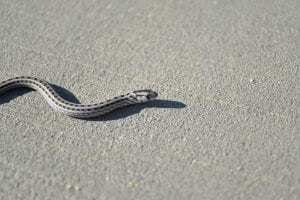 The reptiles use the roads to absorb belly heat, and as my visit to the area was in the spring, this is pretty much what I expected. 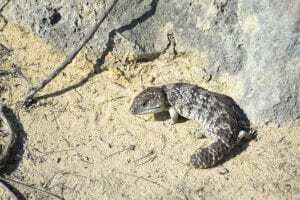 However, once I stopped and hunted away from the road I found live Shingleback Skinks. Young and old. They are easy to catch, and brilliantly easy to get photographs – however they are keen to try and bite! With those powerful jaws it would not be a pleasant experience! I had only a limited time to hunt here, as this portion of the trip was more holiday than fieldwork. However, as the afternoon sun started to go down, I had one surprise, a species I wasn’t even aware of and certainly not on my target list – a Common Scaly Foot (Pygopus lepidopodus). This snake-like lizard is only small, the one I found was only around 30cm long and was crossing a path – again it would have been attracted due to the need to absorb belly heat. A fantastic start to my trip, and a day or two later I was on a plane to Alice Springs, the Red Centre deep in the outback for more in-depth fieldwork. Join me next time for more details – expect some pretty exciting venomous snake finds along with other desert reptiles!